For young Niels it was nearly impossible to hide from horses as father Harry Bruynseels was a horse trader for many years. Nevertheless, Niels only started competing the age of 14. It is a well known rule in many trading stables, that the best horses are sold first, just like it happened at Stal Bruynseels. Because of that, Niels had to take on many new horses. At first the always changing situation seemed a setback, but in the long run it proved a blessing as Niels learned to ride and adapt to many different types of horses. When Niels' riding qualities were spotted, owners started having confidence in the young talent, confiding him with their horses. First up was Domino de Fel. With the French gelding, Niels took a giant leap into the spotlights. 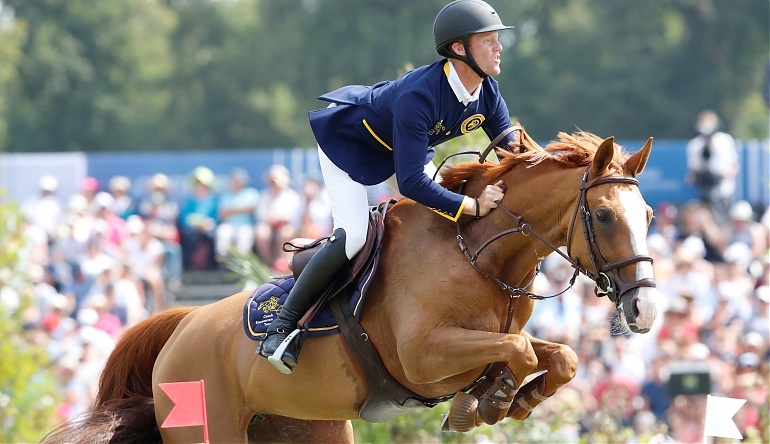 Out of the blue, he was the best Belgian rider at the European Championships for Young Riders in Copenhagen and the duo became the combination to beat as they claimed the silver at the Belgian and European Championships only one year later. Sooner than expected Niels took the next step in his career when he started competing with the older, more experienced Senior riders. But the rookie proved himself worthy when bringing home the bronze medal after a tremendous Belgian Championship in Kapellen. Meanwhile, a second French star was rising, called Item de Quintin. Bought as a youngster, he confirmed his top qualities when being placed in the Grand Prix of Gijon, Maubeuge, Outdoor Gelderland and off course Mechelen. Niels and Item finish 5th in GP held at the Europeans in Mannheim en 6th at the new edition of Jumping Antwerp. Though both were young, they were of great value to the Belgian Nations Cup Team which seized the silver in Rotterdam. Niels was titled the AA Talent of the Year. In the first edition of this Belgian talent support plan, Belgium’s finest Juniors and Young Riders were put to the test. Niels was the first rider ever to receive this honourable title. Niels' story so far has been one of bringing young and talented horses to the top.